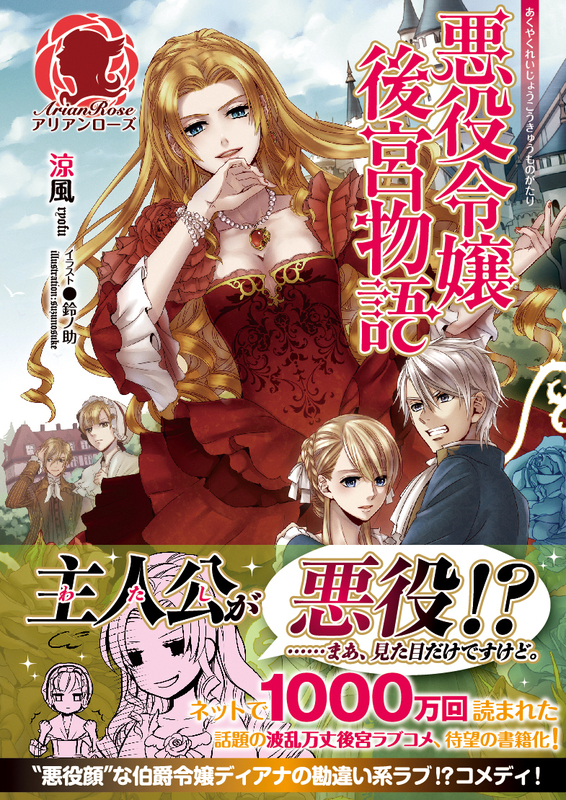 In the Elgrand Kingdom, a certain earl’s daughter was well-known. Captivating men and women of all ages with her beautiful looks, she did as she pleased. To those who defied her, she had no forgiveness, crushing them thoroughly, and she caused misfortune for multitudes of people simply for her amusement. Beautiful and cruel, with sharp thorns, she was the “Rose of Ice”. This is the story of an earl’s daughter, who will have everything she has to do explained the day after tomorrow, and who, after all, sorts of troubles, tries to somehow attain happiness in the battlefield of women called the inner palace. My review will be pretty short since there aren't a lot of translated chapters. I recommend reading it yourself first if you wish to avoid any light spoilers. This is probably one of the first original novels that made the Otome game/Evil Villainess sub-genre so popular - and for good reason too. There isn't much drama or seriousness, which I heavily prefer (and is a factor for my rating), but the world is being built up throughout the chapters. The characters, both main and side, are all likable and understandable and... more>> there's definitely going to be a focus on healthy friendships and relationships in latter chapters. There are two types of "Misunderstandings"-based novels: the ones that I want to throw into the ocean because of the characters' idiocy, and the ones I can relate and laugh along with. This is the latter. While it's obviously unrealistic, their MC and her family have a charm to them (helped by their lack of obliviousness). I'm reading some of the raws, and while this isn't spellbounding especially since so many other has the same premise now, the execution and novelty when this first came out lands itself in my favorites list.